Euro continues moving upwards and reaching new maximums. Considering that the market broke the level of 61.8% (fibo-extension), the price is expected to continue growing up towards the level of 78.6%. the stop on my buy order is already in the black. 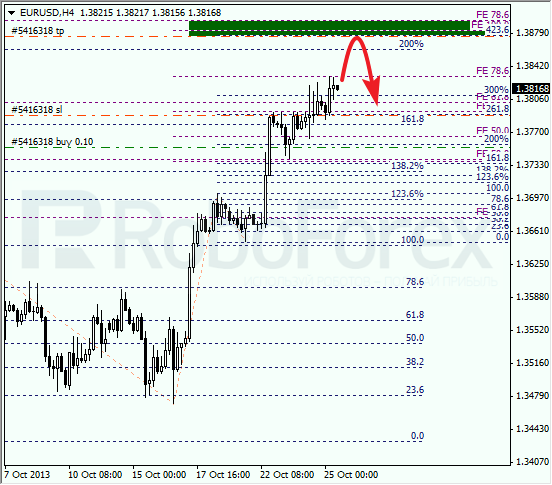 At the H1 chart, the pair is forming an ascending correction. According to the analysis of the temporary fibo-zones, the bulls may reach the upper target level on Friday and later the price is expected to make a reverse. Franc has already reached its targets. Yesterday Take Profits on my short-term buy orders worked. Most likely, the price will be corrected during the next several days, that’s why I’m staying out of the market. 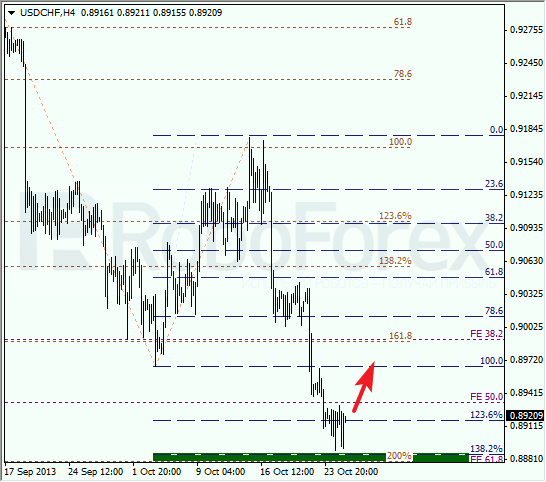 At the H1 chart, the market rebounded from the lower levels inside one of the temporary fibo-zones. We can’t exclude a possibility that Franc will consolidate a little bit while Euro continues moving towards its targets. In the future, the pair may move upwards towards the level of 50%.